TLJ Daily E-Mail Alert No. 561, December 5, 2002. December 5, 2002, 9:00 AM ET, Alert No. 561. 12/4. President Bush signed HR 3833, the Dot Kids Implementation and Efficiency Act. The bill provides that the NTIA must require the establishment of second level domain within the .us country code domain that is restricted to material that is not harmful to minors. Bush gave a speech at a signing ceremony at the White House. He said, "Legislation I sign today will create a new place on the Internet that is safe for our children to learn and to play and to explore. Dot Kids will be part of the U.S. country domain on the Internet. It will function much like the children's section of the library, where parents feel comfortable allowing their children to browse. Be a safe place for children to go." He continued that "This bill is a wise and necessary step to safeguard our children while they use computers and discover the great possibilities of the Internet. Every site designated .kids will be a safe zone for children. The sites will be monitored for content, for safety, and all objectionable material will be removed. Online chat rooms and instant messaging will be prohibited, unless they can be certified as safe. The websites under this new domain will not connect a child to other online sites outside the child friendly zone." Bush also took several questions from reporters. However, all of the questions dealt with Iraq, Al Qaeda, and the Middle East. The bill is largely the product of two members of the House Commerce Committee: Rep. John Shimkus (R-IL) (at right) and Rep. Ed Markey (D-MA). Both are also members of its Subcommittee on Telecommunications and the Internet. Shimkus and Markey first introduced a bill, HR 2417, that would have required a "top-level, International domain", but later settled for a second level domain within the .us country code domain. See, stories titled "Reps. Shimkus and Markey Seek a .kids Domain", TLJ Daily E-Mail Alert No. 234, July 25, 2001; "House Subcommittee Holds Hearing on Kids Domain" TLJ Daily E-Mail Alert No. 300, November 2, 2001; and "House Passes Dot Kids Domain Bill", TLJ Daily E-Mail Alert No. 436, May 22, 2002. 12/4. The Federal Communications Commission (FCC) announced the agenda for its open meeting on Wednesday, December 11, 2002. The agenda indicates that the FCC will likely adopt several spectrum related notices of inquiry. The FCC's Spectrum Policy Task Force (SPTF) released its Report [73 pages in PDF] on November 15. Several items on the agenda relate to issues addressed in the report. This is the FCC's last open meeting for the year 2002. Notably, it appears unlikely that the FCC will act on several proceedings that Commissioners have previously stated ought to be completed this year. For example, there is nothing in the agenda for the December 11 meeting regarding the UNE triennial proceeding, performance measures or broadband. One item on the agenda is a NOI regarding "the effectiveness of current regulatory tools in facilitating the delivery of spectrum based services to rural areas and the extent to which rural telephone companies and other entities seeking to serve rural areas have opportunities to provide spectrum based services." The SPTF report recommended that the FCC "explore ways to promote spectrum access and flexibility in rural areas". In particular, it recommended that the FCC "should promote the development of an efficient and flexible secondary markets regime that, in addition to partitioning, facilitates the leasing of spectrum usage rights in rural areas, which would significantly lower transaction costs. The Commission could also consider expanding ``easements´´ on licensed spectrum ... in low-congestion areas to allow access, on a non-interference basis, by other spectrum users." The report also recommended that the FCC "should consider the impact of its rules on access to rural spectrum". See, report, at pages 58-60. Another agenda item is a NOI "concerning the possibility of permitting unlicensed transmitters to operate in additional frequency bands". The agenda further specifies that this would be spectrum bands "Below 900 MHz and in the 3 GHz Band". The SPTF report recommended that the FCC "should consider designating additional bands for unlicensed use to better optimize spectrum access", and that "it appears that additional spectrum is needed for unlicensed devices." The report found that "the growing popularity of computer networking has stimulated a heightened interest in unlicensed technology and one of the fastest growing applications of unlicensed devices is for WLANs. Among the more popular wireless data services are devices that operate in the 2.4 GHz band in accordance with the 802.11b or ``Wi-Fi´´ standards and protocols developed by the Institute of Electrical and Electronic Engineers. Unlicensed devices are also being developed to provide very short range wireless ``personal area´´ networks (WPANs), such as Bluetooth." See, report, at pages 54-55. Another item is a NOI "seeking information that can be used to analyze the status of competition in the CMRS industry for purpose of its Eighth Report and Analysis of Competitive Market Conditions with Respect to Commercial Mobile Services." There are two other items are on the agenda. The FCC will consider a Further Notice of Proposed Rulemaking concerning "access to emergency services from services and devices that may not be currently within the scope of the Commission’s E911 rules", and the FCC's Wireless Telecommunications Bureau will report on "the status of unintentional wireless 911 calls". The meeting will be held at 9:30 AM, in the Commission Meeting Room, TW-C305, at FCC offices at 445 12th Street, SW. It is open to the public, and web cast. Incumbent local exchange carriers (ILECs) and the U.S. Telecom Association (USTA), a group that represents them, challenged the Federal Communications Commission's (FCC) order requiring ILECs to lease a variety of unbundled network elements to competitive local exchange carriers (CLECs). They also challenged a FCC line sharing order that requires ILECs to lease to CLECs only a portion of local copper loops, rather than the whole line, for the purpose of offering DSL service. The Appeals Court granted both petitions. It remanded both rules to the FCC for further proceedings. The ILECs prevailed. The FCC already had underway a proceeding in which it is examining its unbundling rules. That proceeding is still pending. The petitioners now assert that the question presented is as follows: "Under AT&T Corp. v. Iowa Utilities Board, 525 U.S. 366 (1999), Verizon Communications Inc. v. FCC, 122 S.Ct. 1646 (2002), and the provisions of the Telecommunications Act of 1996, may the FCC require incumbent telephone monopolists to lease elements of their network to competitors based on the FCC's findings that the ability of hundreds of firms to provide competing services will be materially lessened if they must obtain the elements from sources outside the incumbents' networks, or must the FCC also satisfy extra-statutory requirements in order to address putative adverse effects that the leasing of those elements will have on investment in alternative facilities?" Mark Rosenblum, AT&T's VP for law, stated in a release that "There's no question that the D.C. Circuit Court decision reflects a view of the 1996 Act that is radically different from the one Congress enacted, that is foreclosed by the Supreme Court's decisions in two prior cases, and that cannot possibly create the local telephone competition consumers have been promised ... We are simply asking the Supreme Court to reaffirm its two previous rulings and provide the certainty needed to set the telecom industry back on course." In sharp contrast, Walter McCormick, P/CEO of the USTA stated in a release that "AT&T could invest its financial resources in facilities and jobs, but instead it chooses to invest in lawyers and litigation. We are confident that the Supreme Court will dismiss AT&T's arguments. The public interest lies in economic growth and job creation that can best be encouraged through investment in facilities based competition." Similarly, Herschel Abbott, BellSouth VP for governmental affairs, stated in a release that "The original court decision lent support to the direction that the Federal Communications Commission seems to be going with its current reviews of rules on the microscopic dissection of Bell networks. We urge the commission to stay the course. The commission is nearing completion of a fact-based proceeding to see which rules are really necessary to spur competition and which can be abandoned because competition has already taken hold. The May 24th appeals court decision seems to support going down that path." 11/27. The California Court of Appeal (1/3) issued its opinion [MS Word] in Greenlining Institute v. PUC, a petition for writ of review of an order of the California Public Utilities Commission (PUC). The Greenlining Institute and others filed complaints against Pacific Bell with the PUC alleging that Pacific used a variety of misleading and deceptive marketing practices to sell optional services to customers in violation of PUC rules, and California unfair competition statutes. The PUC determined that certain of Pacific Bell's practices were unlawful and ordered prospective and retrospective relief. However, the PUC did not adjudicate the claims arising under California unfair competition law. Greenlining then filed this petition for review with the Court of Appeal. The Court of Appeal held that the PUC does not have jurisdiction over complaints arising under California unfair competition law. This is a matter for the courts. 12/4. William Davenport was named Assistant Chief of the Federal Communications Commission (FCC) Enforcement Bureau's Investigations and Hearings Division (IHD). See, FCC release. 12/4. The Federal Trade Commission (FTC) gave an award to Robert Pitofsky, who was Chairman of the FTC from 1995 to 2001. See, FTC release. 11/21. Chris Israel gave a speech titled "Beyond the Dot Com Bubble: Supporting Global E-Commerce and Sharing the Promise of Technology" in Lima, Peru. Israel is Deputy Assistant Secretary for Technology Policy at the Commerce Department. He spoke to an American Chamber of Commerce Conference on E-Commerce. 12/4. The Commerce Department's Bureau of Industry and Security (BIS) announced that it fined Jet Info Systems International (Jet) $40,000 for re-exportation of computers to Russia in violation of U.S. export controls. The BIS, which was formerly known as the Bureau of Export Administration (BXA), stated that Jet re-exported computers in 1996 from Germany to the Russian Federal Nuclear Center of the Russian Research Institute of Experimental Physics without BIS authorization. The BIS also imposed a two year denial of export privileges on Jet. See, BIS release. 12/4. The U.S. Court of Appeals (DCCir) issued its opinion in Sparshott v. Feld, a civil case involving, among other things, the wiretap provisions of the Omnibus Crime Control and Safe Streets Act of 1968. Plaintiffs alleged illegal wiretapping of their home and office telephones. The jury returned a verdict for plaintiffs. The Appeals Court reversed, on statute of limitations grounds. 12/4. The U.S. Patent and Trademark Office (USPTO) announced that it is adjusting certain patent and trademark fee amounts to reflect increases in the Consumer Price Index (CPI). See, release, with list of fee increases. 12/4. The Progress & Freedom Foundation (PFF) will move its office location to 1401 H Street, NW, effective as of January 6, 2003. 12/4. President Bush announced his intent to nominate Robert McCallum to be the Associate Attorney General at the Department of Justice (DOJ). He is currently Assistant Attorney General in charge of the Civil Division. See, White House release. McCallum (at right) was previously a partner in the Atlanta office of the law firm of Alston & Bird. He focused on civil litigation, including appeals, commercial real estate litigation, insurance class action litigation and medical malpractice defense. The top officer at the DOJ is the Attorney General, John Ashcroft. The second position is the Deputy Attorney General, Larry Thompson. The Associate Attorney General oversees many of the civil units of the DOJ, including five key divisions: Civil, Antitrust, Tax, Environment and Natural Resources, and Civil Rights. He also oversees many other units, including the Office of Justice Programs, Community Oriented Policing Services (COPS), Community Relations Service, Office of Dispute Resolution, Violence Against Women Office, Office of Information and Privacy, Executive Office of U.S. Trustees, and the Foreign Claims Settlement Commission. He does not have authority, however, over the Solicitor General, the Office of Legal Counsel, or any of the crime related units. See, DOJ Organizational Chart. 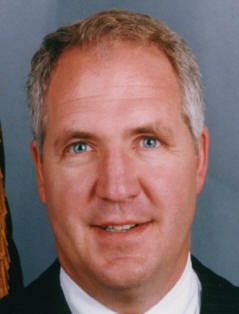 Jay Stephens was the previous Associate Attorney General. Peter Keisler (a telecom lawyer from Sidley Austin) is currently the acting Associate Attorney General. McCallum is one of many Atlanta lawyers, sometimes called the "Atlanta mafia", who joined the DOJ as part of the Bush Administration. Others include Deputy Attorney General Thompson, and the head of the Computer Crimes and Intellectual Property Section, John Malcolm. 10:00 AM. The Federal Election Commission (FEC) will meet. The agenda includes consideration of the final rules implementing the Bipartisan Campaign Reform Act of 2002 (BCRA) regarding coordinated and independent expenditures. Location: FEC, 9th floor hearing room, 999 E St. NW. 10:00 AM - 1:00 PM. The FCC's Network Reliability and Interoperability Council (NRIC) will hold a meeting. For more information, contact Jeffery Goldthorp at 202 418-1096 or jgoldtho@fcc.gov. The meeting, which will be chaired by FCC Chairman Michael Powell and NRIC Chairman Richard Notebaert, will address "recommendations to protect the nation's communications infrastructure -- both physical and cyber -- against attack". See, FCC notice [MS Word]. See also, notice in the Federal Register. Location: FCC, Room TW-C305, 445 12th St. SW.
? 12:15 - 1:30 PM. The FCBA's Wireless Telecommunications Practice Committee will host a luncheon titled "WiFi -- What's all the Buzz About?" The speakers will be Julie Knapp (Deputy Chief of the FCC's Office of Engineering & Technology), Peter Pitsch (Intel), and Rebecca Arbogast (Legg Mason). The price to attends is $15. RSVP to wendy@fcba.org. Location: Sidley Austin Brown & Wood, 1501 K St. NW, 6th Floor, Conference Room 6E.